Another Price Drop Next Week? 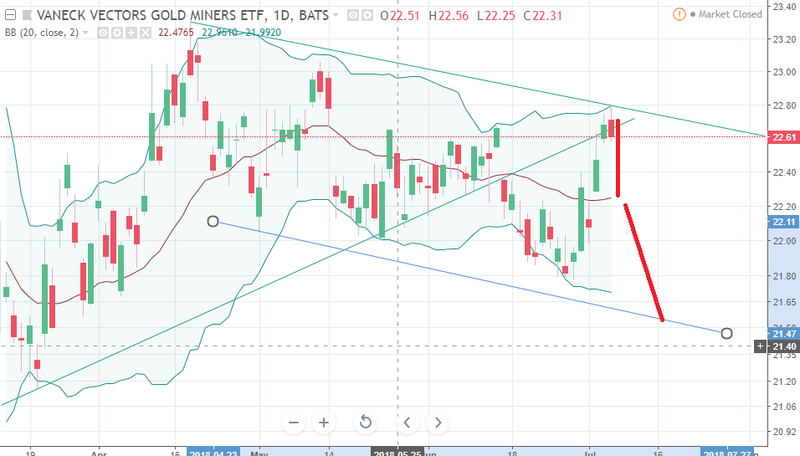 Notice that gold did not rally with the miners! 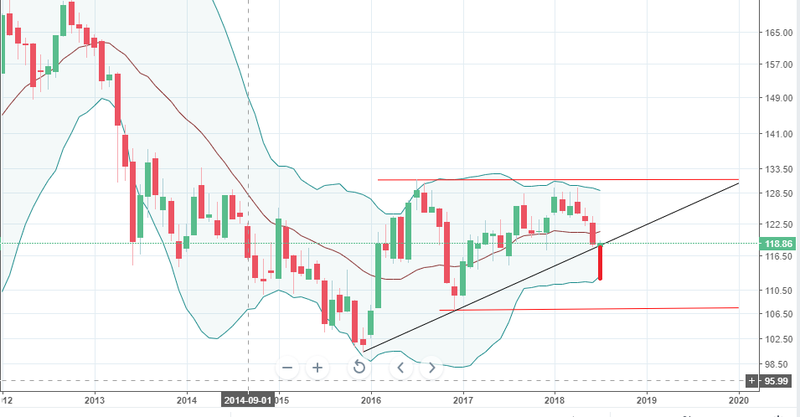 Gold looks ready to break an uptrend line. Gold could fall about $35/$40 oz. from here, and GDX over $1. The SPX should top around 2769/70 early Monday and reverse down into early Tuesday to near 2712 before reversing back up into early Wednesday near 2745. Late Monday could see 2735. A test of the 2680 area Thursday looks like a given to me. A move down minimum to the 200 day MA is expected next week. We are at the 16/32/48 TD top likely to be Monday near 2769. An abc decline into my TLC low and solar eclipse on the 12th to the 2680 +/- test area expected, then we go up strongly I believe. We have Jupiter direct on Tuesday for an 'a' wave low and another trine (Ven/Ura) on Wed for a 'b' wave top then 'c' down into the 12th. The 14th sees another trine with Venus/Saturn, so another ST top due on the 16th. The 100 TD low would then work out to be 103/104 TD's. A trine (Sun/Nep) is due Sunday July 8 and should be an exhaustion trine. July 12: Sun opposite Pluto with new moon/solar eclipse, could be huge gap down fulfilling 'c'!! Don't get too bulled up just yet!! Yes, large rally into the 23rd from the 12th, so Weird Wolly Wednesday comes a day late it seems; watch out for the 24th as air pocket looms then! Bradley turn due the 10th of July +/-, hinting at a low. The 24th through the 3rd of August looks sideways/corrective then higher again. 2772 beckons, maybe around the 16th of August. Positive energy top due around the 19th of August: Jupiter trine Neptune in Grand Water signs. Watch out for a big drop into the fall into around late November and again into mid January after December rally. Major, major, major top due in early 2020. 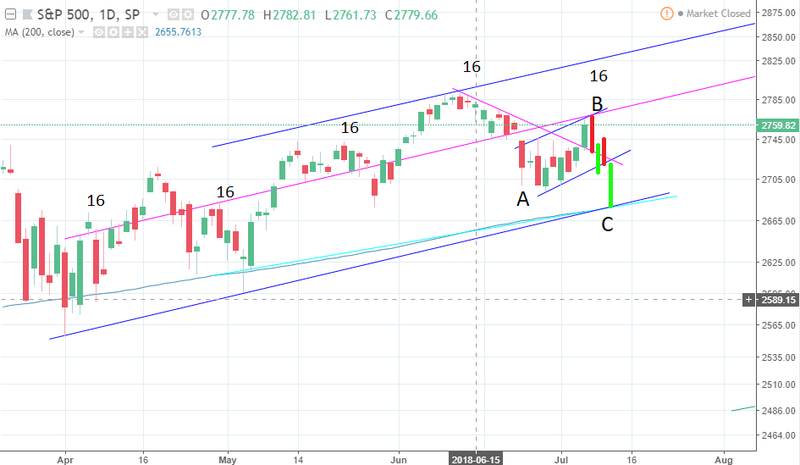 The SPX is projecting a 48 TD low (10 week) from May 3. I’m thinking the stock market drags down the mining shares, perhaps even into the week after next. Maybe gold sector falls hard next week too. It is sitting on an uptrend line! Should be a buying opportunity I think at least into August.